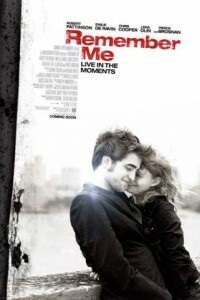 In the romantic drama “Remember Me,” Robert Pattinson plays Tyler, a rebellious young man in New York City who has a strained relationship with his father (Pierce Brosnan) ever since tragedy separated their family. Tyler didn’t think anyone could possibly understand what he was going through until the day he met Ally (Emilie de Ravin) through an unusual twist of fate. Love was the last thing on his mind, but as her spirit unexpectedly heals and inspires him, he begins to fall for her. Through their love, he begins to find happiness and meaning in his life. But soon, hidden secrets are revealed, and the circumstances that brought them together slowly threaten to tear them apart. “Remember Me” is an unforgettable story about the power of love, the strength of family, and the importance of living passionately and treasuring every day of one’s life. star Robert Pattison is in the lead, while former 007, Pierce Brosnan, and Oscar nominee Lena Olin and Oscar winner Chris Cooper, costar. Breaking Dawn Part 2 is the final in the Twilight big screen franchise. Bella and Edward are married.